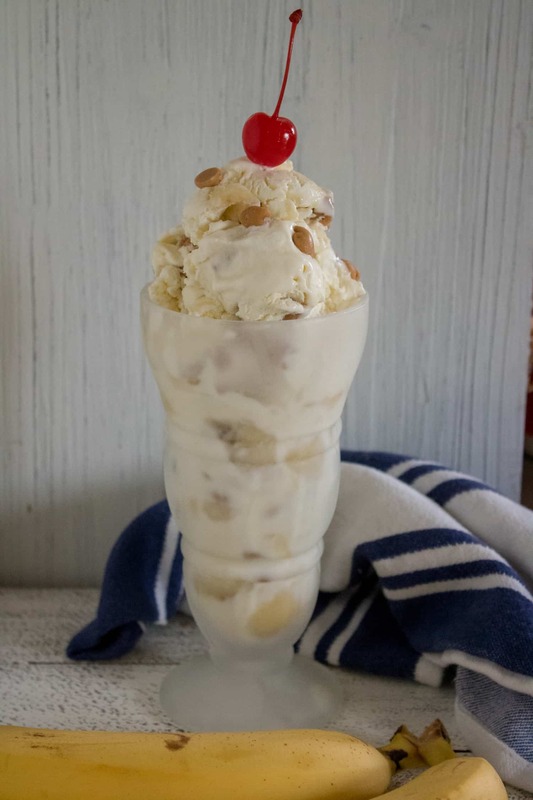 Reese’s Chips & Banana No-Churn Easy Ice Cream Recipe brings together sweet and salty in one delicious homemade ice cream. 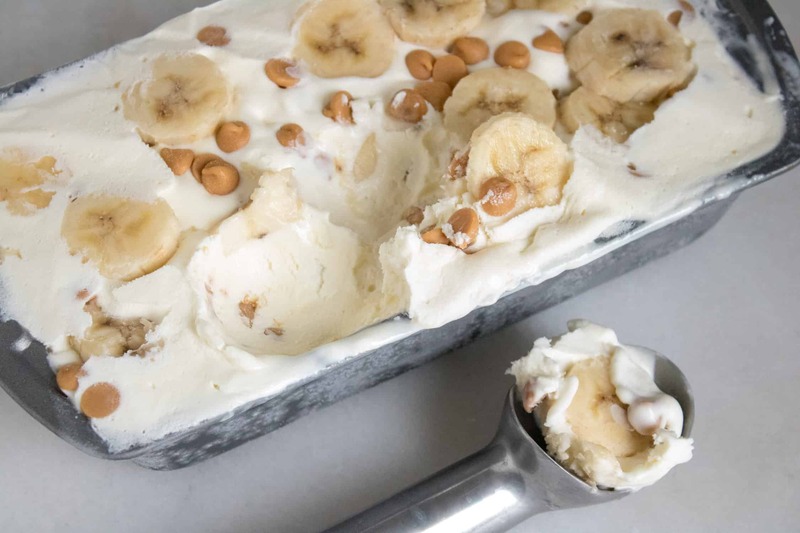 You and your taste buds will be in pure bliss as you enjoy chewy Reese’s peanut butter chips and slices of fresh banana combined with rich and creamy homemade vanilla ice cream. 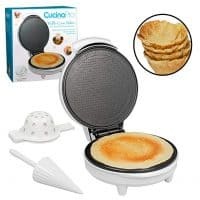 And since it’s no-churn, there is no special equipment required to make it! It’s a breeze to make! You’ll spend less than 10 minutes mixing all five ingredients together, then just pop it in the freezer for 6 hours. You can make this in the morning and enjoy it later that afternoon. Or. make it in the evening and let the freezer do the work overnight. So much easier than running out to the market or the local ice cream shop! 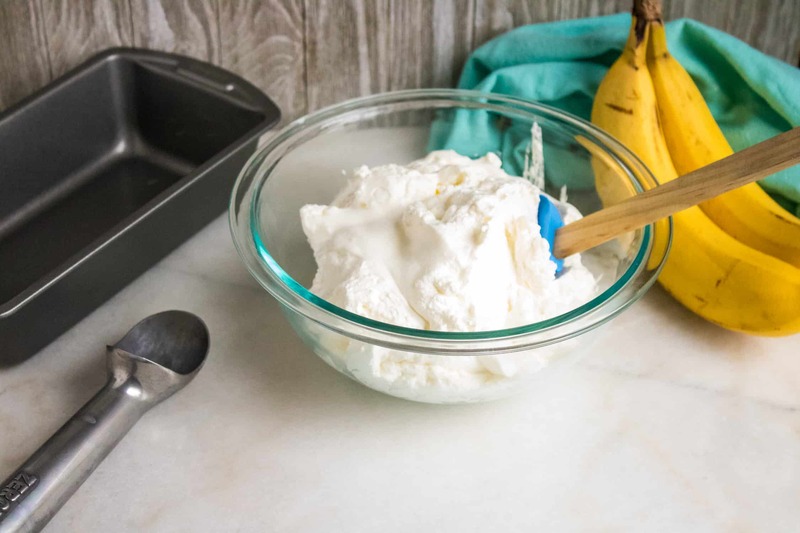 This ice cream is high in potassium thanks to the banana slices, as well as calcium and protein. Getting a dose of healthy nutrients along with tons of sweet decadence mean you can feel a little less guilty about indulging. 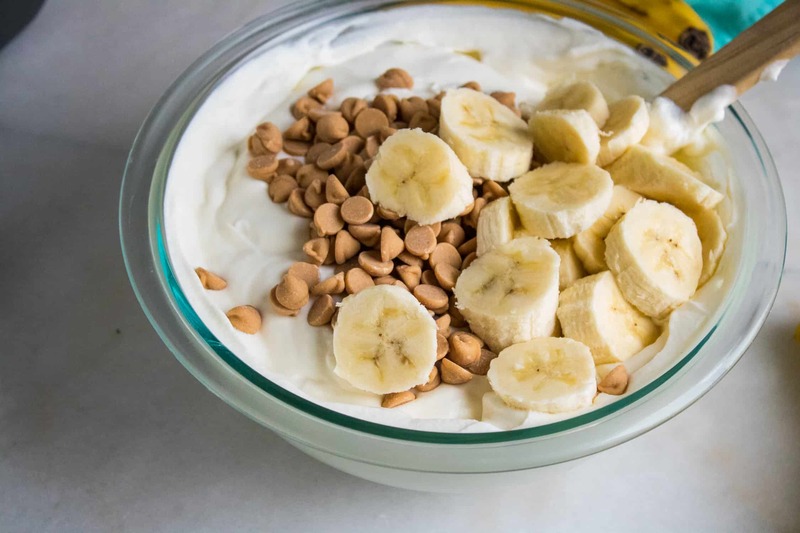 Bananas and Peanut Butter are a classic flavor combination. 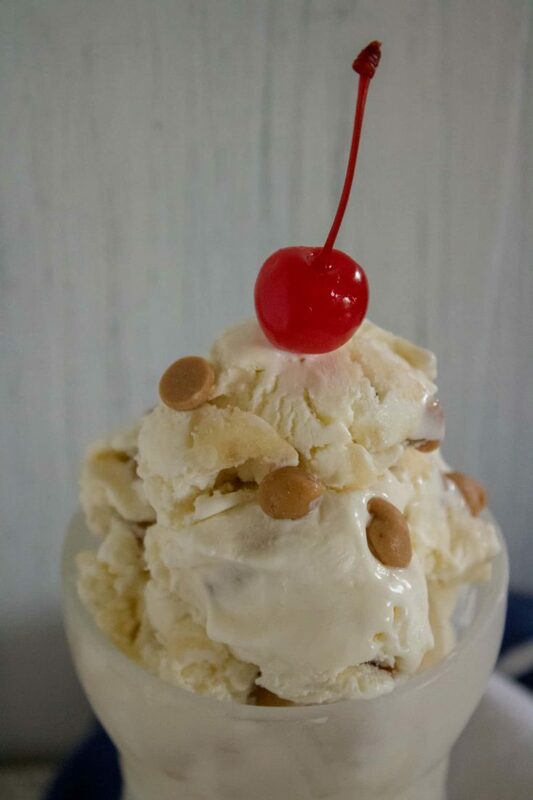 We bet that the King himself (Elvis Presley, that is) would have loved Reese’s Chips & Banana No-Churn Ice Cream as much as we do! Step #2: Pour in sweetened condensed milk and vanilla extract and fold in until smooth. Step #3: Add in banana slices and Reese’s chips and stir. Alternatively, you can add these in when you pour the ice cream into a container. Step #4: Next, pour ice cream into a freezer safe container. Freeze for 5-6 hours or overnight. When it is time to serve, remove from freezer and let sit on the counter to soften for 5-10 minutes before serving. Enjoy! 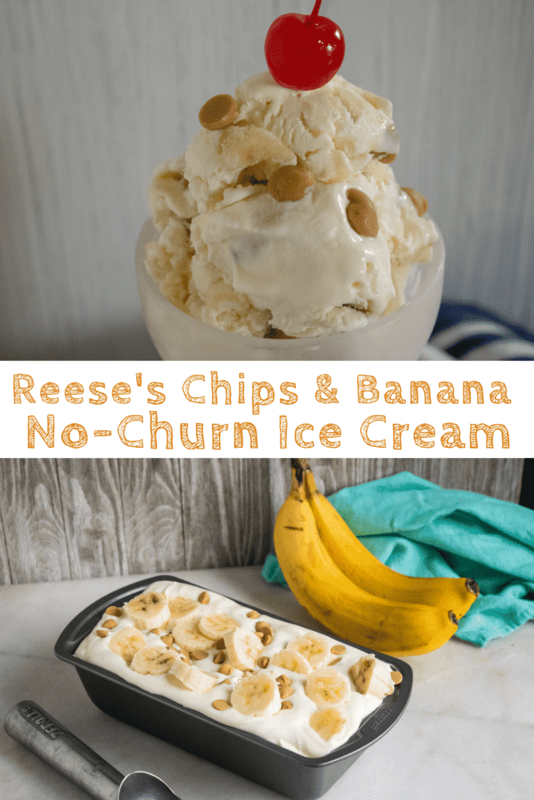 If you happen to not be a fan of peanut butter, them try this No-Churn Banana Chocolate Chip Ice Cream, chocolate chips are used in place of the Reese’s chips. Pineapple Poke Cake is made by cooking yellow cake mix over a layer of pineapples then filling the cake with vanilla pudding. Not only is this cake yummy and it is super moist! Resembling a cheesecake this Very Berry Icebox Cake is made with cream cheese and Almond milk, then topped with sliced strawberries and crumbled Oreos. Ready in 20 minutes, this No-Bake Tropical Cream Pie quick and easy to make. It’s also delicious, light and refreshing, you’ll have a hard time eating just one piece! Indulge in a classic flavor combination with this quick and simple Reese's Chips & Banana No-Churn Ice Cream Recipe. 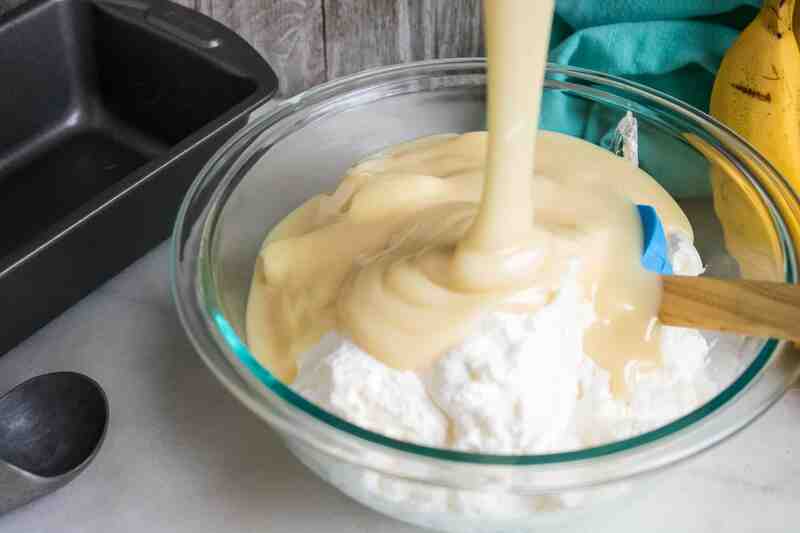 Pour in sweetened condensed milk and vanilla extract and fold in until smooth. 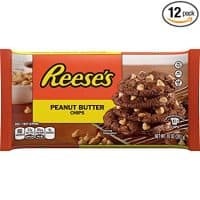 Add in banana slices and Reese’s chips and stir. 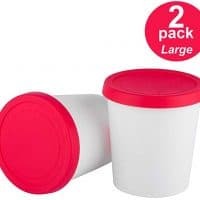 Alternatively, you can add these in when you pour the ice cream into a container. Next, pour ice cream into a freezer safe container. Freeze for 5-6 hours or overnight. When it is time to serve, remove from freezer and let sit on the counter to soften for 5-10 minutes before serving.